Obituary for Catherine M. (Hazlett) Woodard | Magner Funeral Home, Inc.
Catherine M. Woodard, 96, of Norwalk, died on February 2, 2019 at Norwalk Hospital with her family beside her. 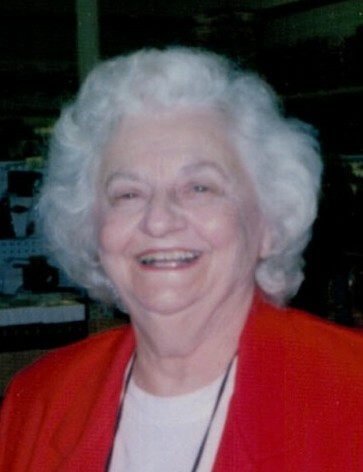 Born in Norwalk, daughter of the late Robert and Jennie (Benincasa) Hazlett, she was the wife of the late Clark Woodard. She attended Columbia University and was trained as a dental hygienist, but left her career to raise a family. Very active at St. Philip Church, serving as Eucharistic Minister and lectern, she was also a volunteer with Birthright for over 20 years. She is survived by four children, Leah Ross of Los Angeles, CA, Maria Oliver of Norwalk, Peter Woodard of Windsor and Teresa Bills of Sandisfield, MA, nine loving grandchildren and seven cherished great-grandchildren. Her family will receive friends on Friday, Feb 8 from 4 -7PM at the Magner Funeral Home, 12 Mott Ave, Norwalk. A Mass of Christian Burial will be held at 10 AM on Saturday, Feb 9, at St. Philip Church, 1 Father Conlon Place, Norwalk, with burial to follow at St. John Cemetery. Memorial donations may be made to: Birthright, 71 East Ave, Suite E, Norwalk, CT 06851.